That’s just stunning! I like your close-up picture–it really made me think it was a watermelon. 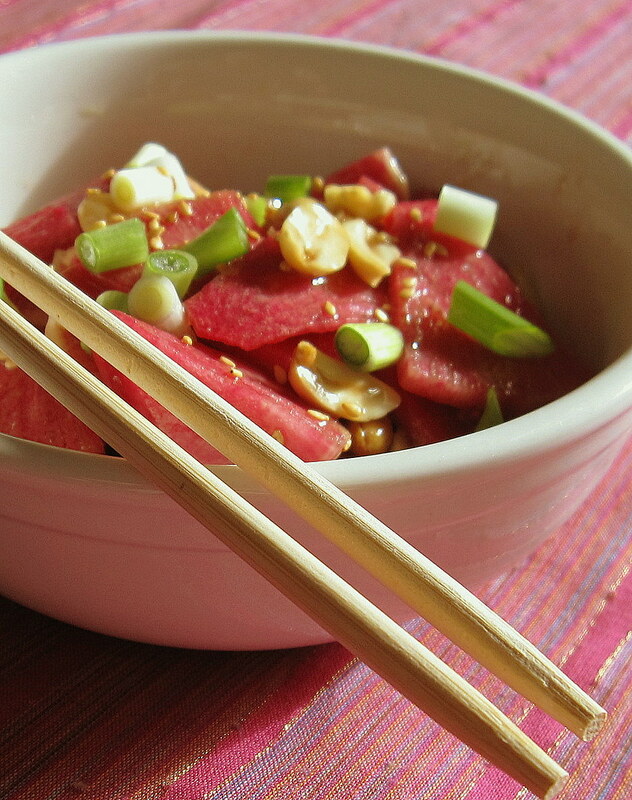 Thanks and I agree…it’s amazing how watermelon-like a radish can be! 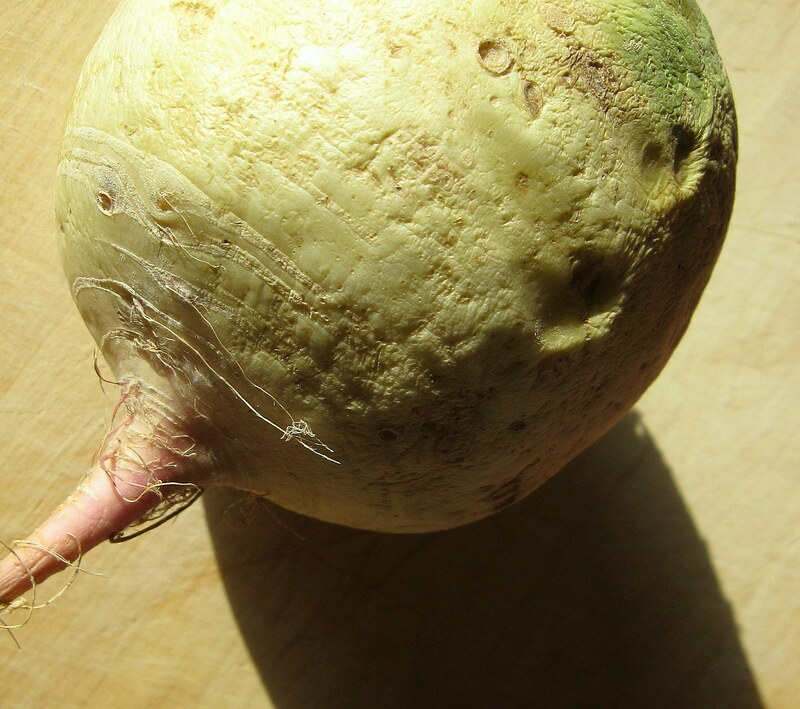 I’m sure I’ve come across this vegetable (or is it a root, or both?) at the asian groceries in Philly, but I’d NEVER guess it was so brilliant inside. WOW, the outside is so misleading! If only I had been more adventurous, how exciting it would have been to bring this home unknowingly and cut into it! Maybe I’ll try to trick Drew into it and let him have the surprise… This salad sounds awesome (minus peanuts for me!). Now I’m going to have to get my hands on one of these! Can’t wait to try it. I was surpised by a breakfast dish at Honey’s that included radishes- it was enfrijoladas. 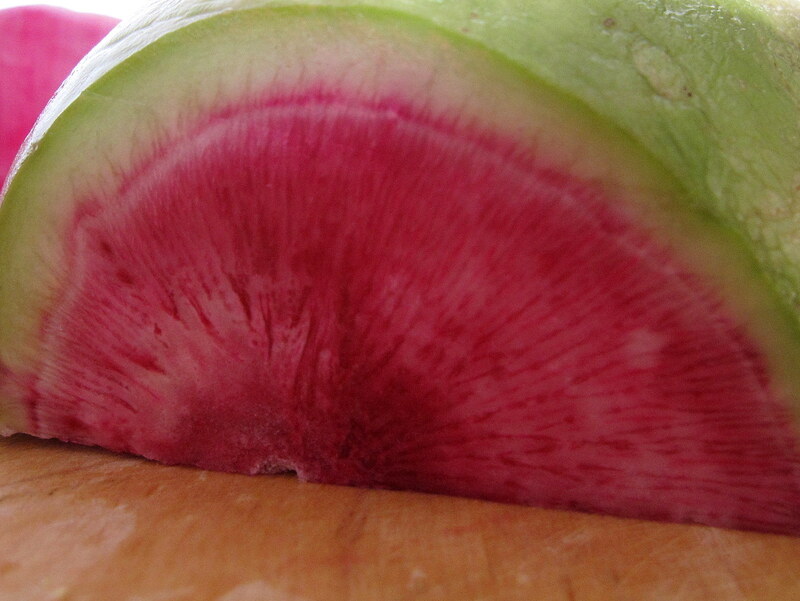 I don’t think I’ve ever seen radishes in a mexican dish, but they really added an great element.